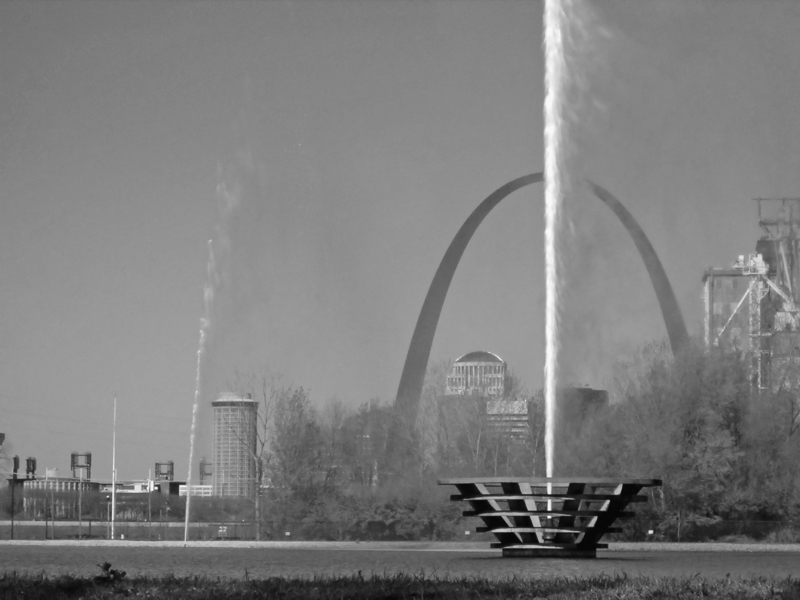 Oct. 28, 2015 will mark the 50th anniversary of the Arch, which was completed in 1965. Merkel believes that without the Arch, there would be nothing to make St. Louis stand out. “It is the best thing St. Louis has,” Merkel said. His fascination with the Arch and its history led him to write The Making of an Icon: The Dreamers, The Schemers, and The Hard Hats Who Built The Gateway Arch. The book was pubished in 2014. He delivered the idea of the book in 2012 to the St. Louis-based publication company, Reedy Press. Merkel went downtown to the St. Louis Public Library to go through old newspaper clippings, books and other accounts of information. He conducted interviews and watched microfilms. He went through the archives at Old Courthouse in the Jefferson National Expansion Memorial, the park where the Arch is located. The idea for the Jefferson National Expansion Memorial originated with civic leader Luther Ely Smith at a time where the St. Louis riverfront, a major economic source, was deteriorating. He proposed the idea in 1933 to then-mayor Bernard Dickmann. The memorial was to be dedicated to Thomas Jefferson and the subsequent westward expansion under his term as president. Dickmann got behind the idea. Smith became chairman of the Jefferson National Expansion Memorial Association. The estimated cost of buying the land, clearing the buildings and creating a park and monument was estimated by the association to around $30 million. The federal government promised to join in on the expansion if St. Louis could help raise money. The Board of Alderman of the City of St. Louis passed a bond issue in 1935 to raise $7.5 million for construction. The remaining $22.5 million would come from the federal government. After the vote on the issue, there was no word from the federal government for two months. Dickmann and Smith were looking for an executive order from President Franklin D. Roosevelt to start the project. Dickmann and Smith visited Washington D.C. in early November of 1935. Before Roosevelt signed the order, he gave it to Attorney General Homer Cummings for a read-through. Cummings told Roosevelt not to sign the order, as the federal government did not have the money to compensate immediately. Dickmann and Smith went back to St. Louis empty-handed. Dickmann told Cummings he would make sure no one in Missouri supported Franklin D. Roosevelt when he ran for re-election as president unless the act was signed. The next day, Cummings told Dickmann that the federal government had the money. “There was a lot of arm twisting to get this project going,” Merkel said. 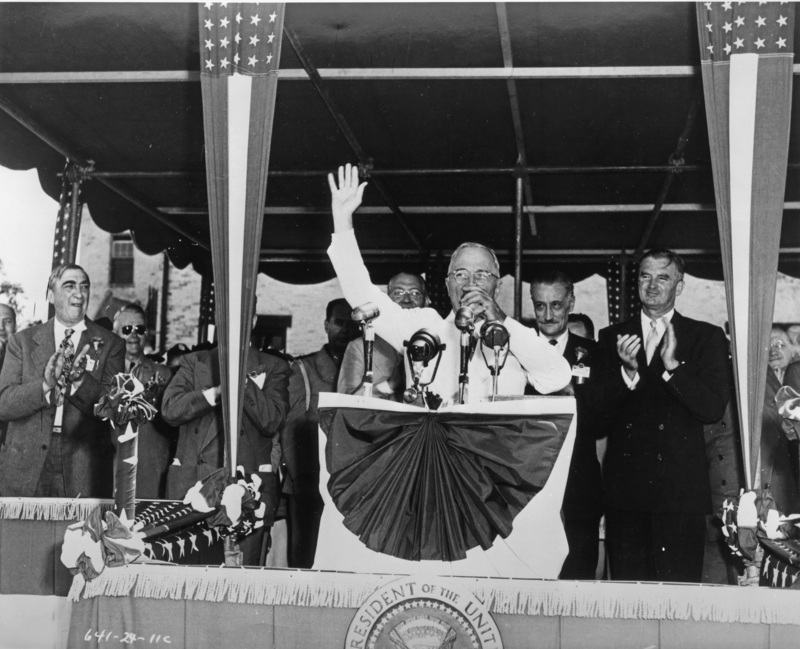 In December 1935, Roosevelt signed the order, signifying the start of the project. Saarinen participated in an architectural competition for the Jefferson National Expansion Memorial in an attempt to construct a monument in the park. 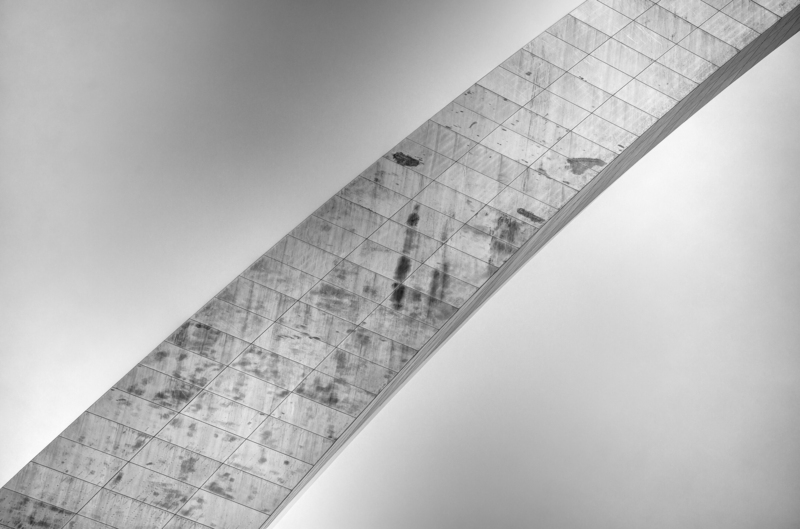 His project was that of an arch that sat on the edge of the Mississippi River. His design won the contest. 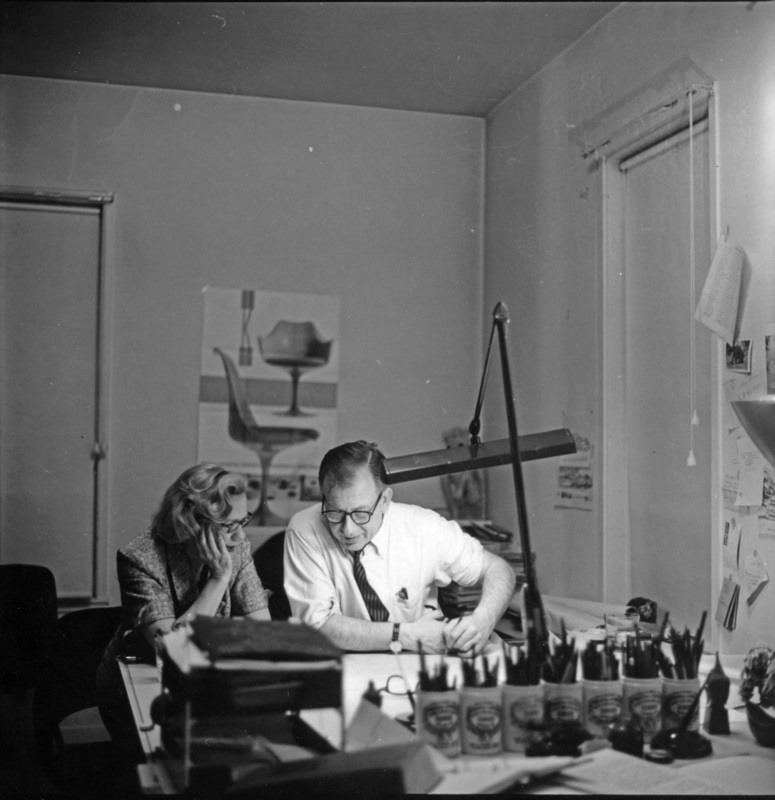 Saarinen died of a brain tumor Sept. 1, 1961. Official construction of the Arch began Feb. 12, 1963. Merkel believes that on the Arch’s 50th anniversary, there should be dedicated efforts to preserve it. He said one way to do that is to clear the stains and make the steel shine again. “Anyone standing nearby can see without binoculars that some of the individual stainless steel panels appear stained or dirty,” Merkel wrote. The National Park Service, the organization that manages all United States national parks, said in a statement in April 2015 that the staining is purely a cosmetic problem and the Arch’s structural integrity was in good condition. The statement said many of the stains come from original construction. Merkel said the concern about cleaning the Arch is the danger of being high up and using much force to clean stainless steel. His idea, although he acknowledges he is not an engineer, is to use some type of scaffolding on all three sides. “Even to be imaginative, what if you got (workers) off and on (the scaffolding) by hot air balloon?” Merkel said. Stevens said he did not even think about the book coinciding very closely with the 50th anniversary of the Arch. “(Reedy Press) would have done the book regardless,” Stevens said. Merkel believes the Arch will stand the test of time.